Photo credit: RL GNZLZ. That’s not the Jeep that was stolen, though. We don’t have a picture of the exact car. Just picture it in your head, using this as inspiration. 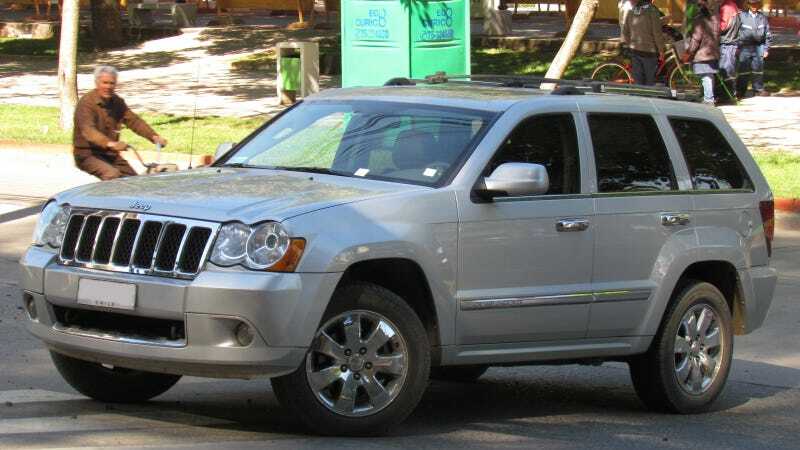 On Thursday evening at around 8:30 PM, certified master car thief 37-year-old Edward Wilson found an unlocked and running Jeep Grand Cherokee in the parking lot of the Sartell, Minnesota Walmart. Being the incredibly talented thief that he is, Wilson opened the door, stepped on board, and piloted the Jeep more than an hour away. At around 10:30 that same night, the rightful owner of the Jeep received a phone call requesting assistance getting the car running again. According to criminal charges filed in Stearns County District Court, 37-year-old Edward Wilson was seen on surveillance getting into the SUV and driving it away. While he was still on the phone, Isle police were dispatched to confront the suspicious person and follow up on the stolen vehicle. After his arrest, Wilson admitted he was guilty of stealing the vehicle, and that “he knew that it was not a good idea to get in the vehicle,” as stated in the complaint. Not every car thief can be Randall ‘Memphis’ Raines, I suppose.